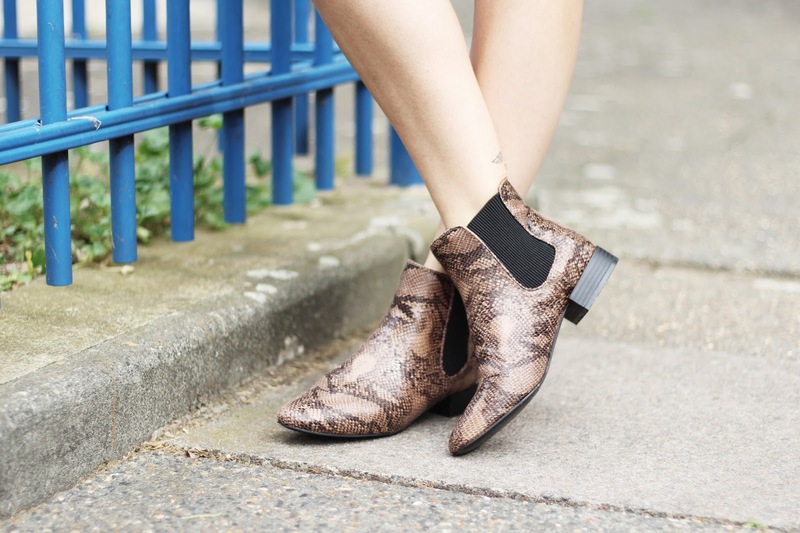 Ankle boots... my all time shoe love and the must-have boot for the new season. 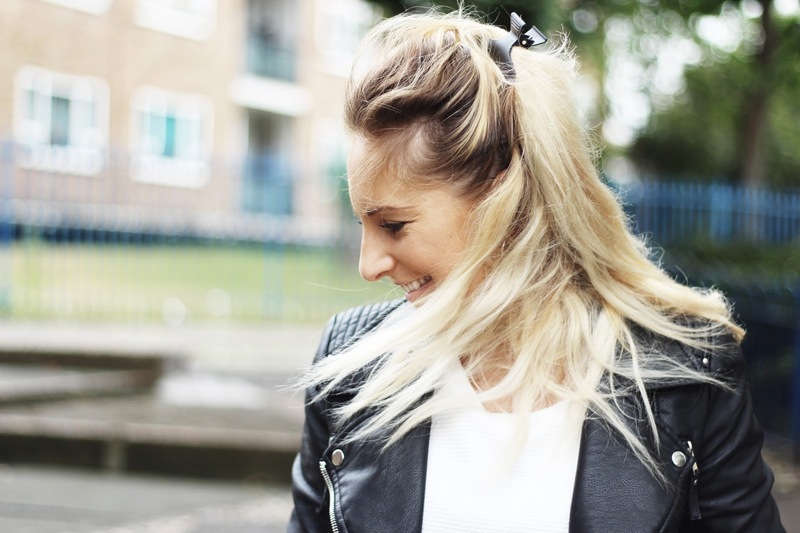 However, let's not get too excited as the weather hasn't got a CLUE what it's doing RN and word on the street is that warmer temps are coming our way, meaning I'll probably be back in my flip flops by the end of the week! With the humid weather in mind and the want to don my new season beauties from Dolcis, I opted for the half out, half in approach. So that's a legs out, chest covered and boots on kinda combo. Dolcis, remember the name, me too. The footwear brand synonymous with a school shoe shopping trip (well for me anyway!) way back when, has had a little injection of all things on-trend, especially in the winter boot department. 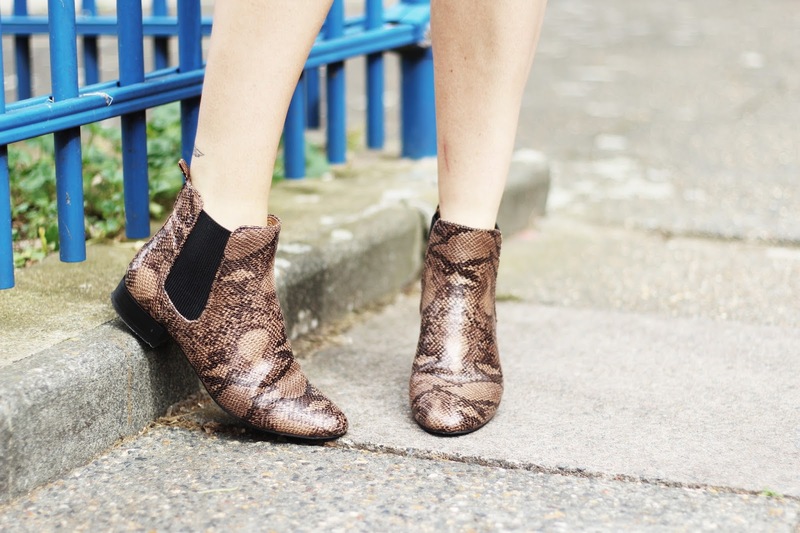 These snake-print ankle boots are the newest addition to my A/W wardrobe and boy, am I in love! From animal prints and cute Chelsea boots to kick-arse knee-highs they have really upped their shoe game for this season. Best thing is, they're totally affordable too. Nice shoes, nice price-tag - obvs I'm IN.